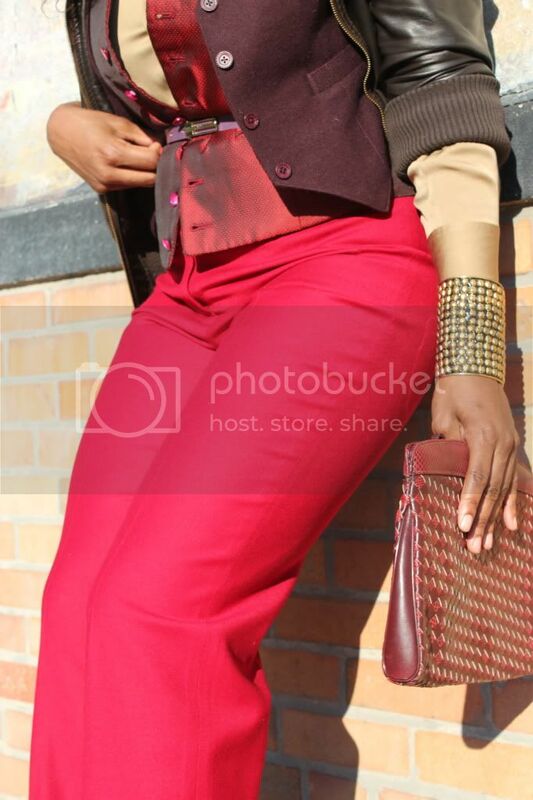 Very Nice outfit, I love how you play on the red color and the double armless jacket !!!! Nice pretty much like it !!!! Love all of your shades of RED!!! You look totally HOT HOT HOT!!! nice color on the pants! and that bracelt's fierce, I love it..
i really love the cuff - it's so amazing! Nice! I love the concept behind the 2 vests...and that cuff is WONDERFUL!! Cute pics! LOve them! and nice blog!! Wow this outfit looks fantastic,love the layers of it! what a fantastic blog.....I am going to follow you and your pretty hair and fun style! Looove your style and the way you match colors and those pants gorgeous!!! !